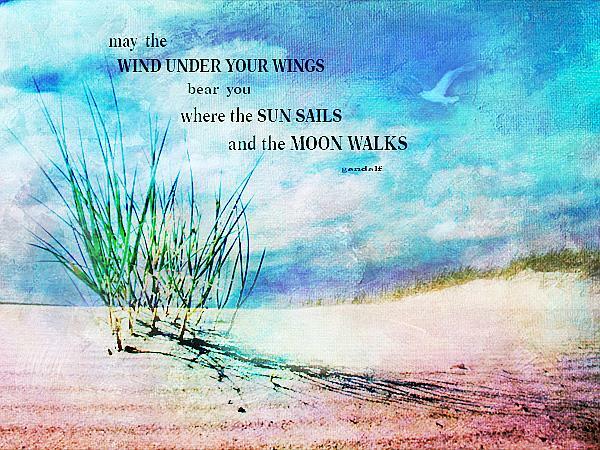 May the Wind was created from several images of the sand and sea grasses. I used Photoshop to place them together to create this completely different image. Love Photoshop! I used layers, blending modes and other tools to seam them together naturally. The Quote is a favorite of mine by Gandalf and appearing in the Hobbit. I intended to enter this in the Tolkien Show, but life got in the way and I totally missed the deadline. Now I am entering it in the Better Late than Never show! !